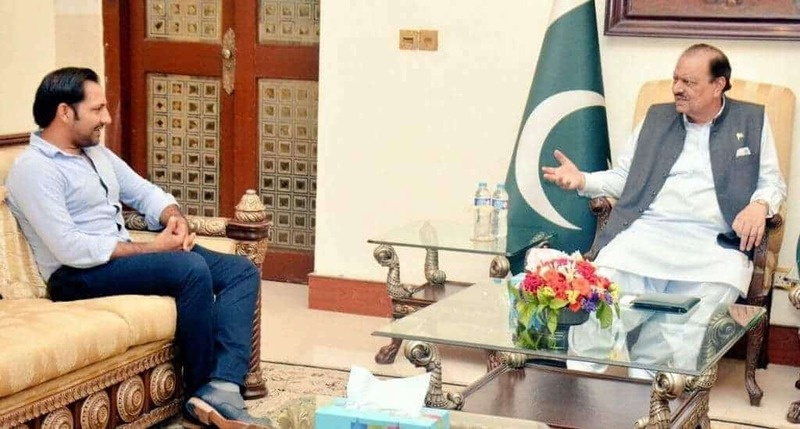 Pakistani cricket team captain, Sarfaraz Ahmed was invited to the State Guest House by the President of Pakistan Mr. Mamnoon Hussain. The President congratulated him for the team’s victory in Champions Trophy for the first time in history. Since winning the Champions Trophy, the humble Sarfaraz Ahmed has risen to enormous fame. He has been showered with praises from all sections of the society, meeting with the President of Pakistan serves as another feather in his cap.